Aspiring actors will be better equipped for breaking into the industry thanks to The Actor’s Professional Kickstart Conference, hosted by the Canberra Academy of Dramatic Art (CADA) in Fyshwick on 14-15 November 2014. A first-ever for Canberra, the two-day conference will feature workshops, master classes, lectures and special guest appearances to provide actors aged 17 to 25 years with the tips and know-how to help guide a career in the industry. Entertainment professionals will provide their insights and guidance, including Andy Minh Trieu (host of Pop Asia on SBS TV, star of Kitchen Ninja on Foxtel and martial arts champion). Andy will run an excitement-filled stage combat workshop and will also be part of a panel discussion on how to get work as an actor. Meet other likeminded people and participate in a region of sessions including: what acting isn’t; five tips for working with scripts; working in TV; how to get an agent; as well as the difference between stage and screen acting. Early bird tickets are available until 31 October 2014 at just $49 (increasing to $200 from 1 November 2014). Book online at www.cada.net.au/actors-pro . 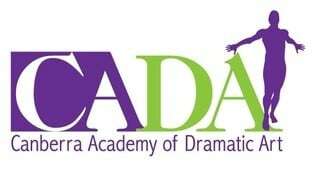 The Canberra Academy of Dramatic Art (CADA) is Canberra’s leading drama school, with a mission to build a generation of performers through a sense of self and story. www.cada.net.au.